ANY WORDING UP TO 14 LINES OF COPY . . . 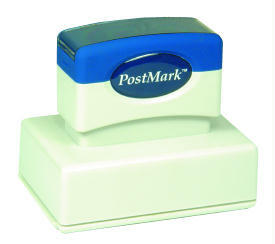 Impression area: 3-7/8" x 1-7/8"
Large pre-inked stamps like this XL-275 serve very well for marking shipping containers. Economically, they're the least expensive to operate. If you do the math, you'll find that you get just over 6 impressions per penny! For adding graphics or other customizing of this stamp, please CALL. We're here to help.